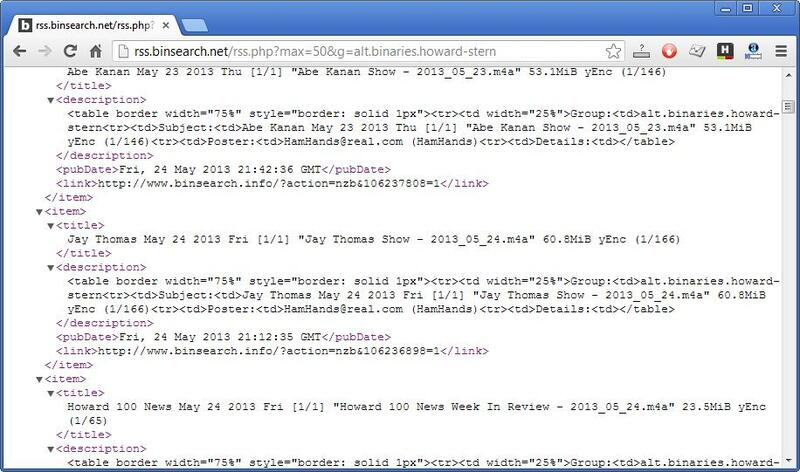 An NZB RSS feed is a stream of links to NZB files produced by an NZB indexing site. The site will produce the links automatically by scanning Usenet newsgroups, or it will have human editors who post the links by hand. RSS is the software technology that makes these feeds possible. You can view an NZB RSS feed in any “RSS reader” program. 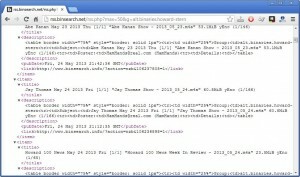 NZB files contain a list of pointers to posts in Usenet newsgroups. 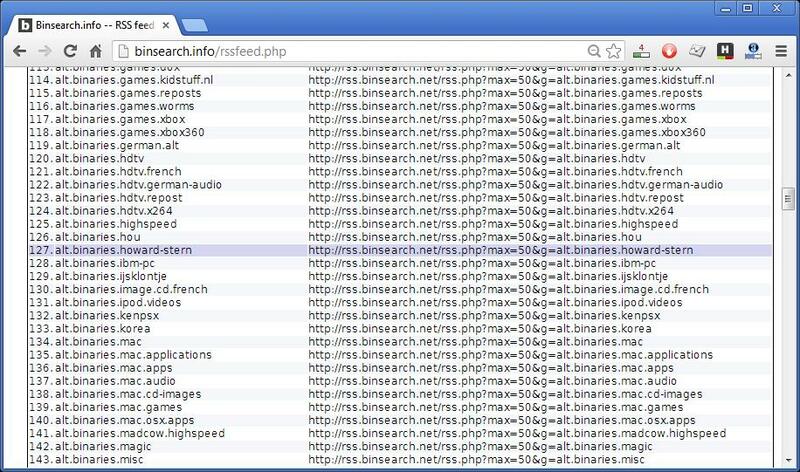 So, the purpose of NZB/RSS technology is to subscribe to feeds that track the files that you are interested in, and automatically feed them into an NZB/RSS downloader like NZB Feed Leecher. If you then copy that URL, and paste into Chrome’s URL bar, Chrome will download the NZB file for you. Now, you might think that this is a convoluted way to get NZB files. However, the exercise that we just went through was so that you could get a feel for what an NZB RSS feed is. In practice, your downloader program will be monitoring the feeds, scanning them for your keywords, automatically downloading the NZBs, and then downloading the files from your Usenet server. It takes a little time to set up, but it is well worth the effort. Binsearch’s feeds are generated mechanically, so they are of low quality. The best feeds are curated by human editors. 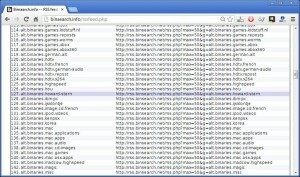 Many sites offer such feeds, including FileSharingTalk.com.